When I was young my dad used to do our local newspaper’s cryptic crossword puzzle every morning. This always intrigued me and he slowly started teaching me how to do them, until I frequently asked him to photocopy the crossword every morning so that I could solve it myself without interfering with his own work on it. Thinking about it now, this is probably where my love of interesting words came from. Now, many years later, I find myself constantly coming up with cryptic clues for words (which proves to be distracting sometimes while I’m writing), so I thought I’d start writing down these clues and putting them into my own cryptic crossword puzzles so they have a home outside of the confines of my mind. Now that I’ve started doing that, it seems silly to not share the puzzles with anyone, so I thought I’d do that in the most logical place I can think of – my own blog. If I end up doing enough of these I might start putting them on their own site, but for now this is a good enough place as any for them to live. 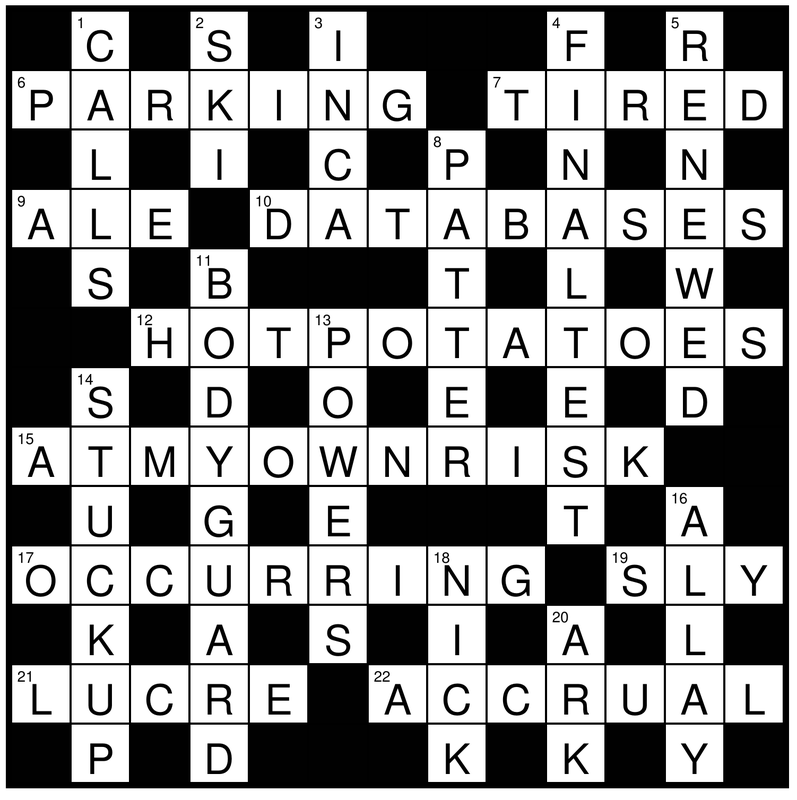 So, without further ado, here is the first of these puzzles – I’ll update the post with the answers in a week’s time, but for now feel free to download, print, share and solve my first cryptic crossword offering. Need some help? Here are the solutions.